3 March 2011, Patiala The third Rababi Bhai Mardana Classical Music Festival was inaugurated as a national music conference. Inaugurating this festival, Vice-Chancellor Dr. Jaspal Singh said that Punjabi University is definitely keeping its promise of developing the music tradition of Punjab by organising Rababi Bhai Mardana Classical Music Festival in collaboration with other national and international institutes. This festival is dedicated to Chairperson Bibi Jasbir Kaur Khalsa, who contributed a lot in the establishment of Gurmat Sangeet Chair in Punjabi University. During the inaugural session, Singh Bandhu S. Tejpal Singh was awarded 'Punjab Sangeet Rattan Award'. This is worth mentioning here that this award was initiated by Bibi Jasbir Kaur. 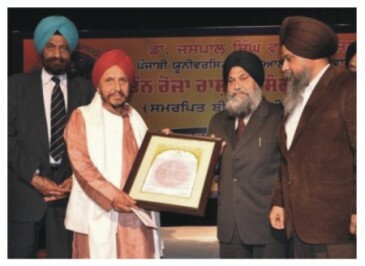 During this festival, special honours were given to Singh Bandhu S. Surinder Singh for being the patron of the Festival, Prof. Yashpal (Chandigarh) for being awarded by National Sangeet Natak Academy and Dr. Jagir Singh for his services as the former Professor & Head of the Department of Gurmat Sangeet. The Chief Guests of the occasion were S. Trilochan Singh - the former Chairman Minority Commission, S. Manjit Singh - President, Delhi Akali Dal, Badal (G.K.) and S. Swarn Singh Bhandari - President, Gurdwara Singh Sabha, Greater Kailash (Delhi). The performances were given by Sh. Rajan Kulkarni on Sarod, who is an established Sarod player has deep ties with Punjab. He gave his performance in Raag Yaman and Raag Maajh-Khamaj. S. Ajit Singh, Dehradun gave his performance on the Vachittar Veena which is very rare. He performed Gat Vadan in Raag Des. After that, he presented a composition in Raag Peelu of Ajiz Khan, a renowned Vachittar Veena Vadak of Patiala Gharana. S. Ajit Singh is an A grade artist of Prasar Bharti. Sh. Jaidev and Sh. Madhuresh Bhatt from Punjabi University were Tabla accompanists. Program Director Dr. Gurnam Singh, Dean Faculty of Arts & Culture, said that in the 3-days festival, the internationally acclaimed artists S. Kulwinder Singh (Tabla), Dr. Arvind Sharma (Classical Vocal), Sh. Mujtabal Hussain (Bansuri), S. Amandeep Singh (Taus), Sh. Som Datt Battu (Classical Vocal), Sh. Kale Ram (Tabla) are going to perform. On 4th March, Jathedar Avtar Singh, President Shiromani Gurdwara Prabandhak Committee, will give One Lakh Rupees of 'Bibi Jasbir Kaur Khalsa Gurmat Sangeet Senior Fellowship' to Gurmat Sangeetacharya Prof. Kartar Singh. On 5th March, a special award giving function by Raj Academy, U.K. will be organised at 10.30 am. 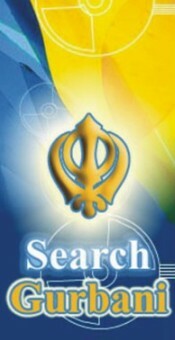 Program was compared by Dr. Kanwaljit Singh, Department of Gurmat Sangeet. The vast audience of the program were the music lovers, faculty, employees and students. Prominent among them were Dr. Daisy Walia, Dr. Rajinder Singh Gill, Prof. Gurpartap Singh Gill, Ustad Ram Lal ji of Patiala Gharana, Dr. Amritpal Kaur, Dr. Narinder Singh Kapoor, Dr. Gurmeet Maan and S. Ashok Singh Bagrian. Inputs received from Dr. Gurnam Singh, Professor and Head, Department of Gurmat Sangeet, Punjabi University, Patiala.